This article, authored by Roger Woolley, Director of Marketing at WFMSG, was originally published in the October 2017 issue of Contact Center Pipeline. Employee engagement is more than just a buzzword. Successful customer service organizations create a culture that encourages it. Engaged employees are more enthusiastic about their contribution to the business and, ultimately, increase the level and consistency of service provided to their clients. Senior executives, as a result, are increasingly targeting employee engagement as a significant contributor to the quality and impact of the customer experience. Community workforce management (WFM) keeps employees engaged as it was built from the ground up with agent empowerment at the forefront of its design. The Community WFM framework natively connects agents, supervisors and analysts through tightly integrated desktop portals and multiple notification channels without the need for a third party plug-in. 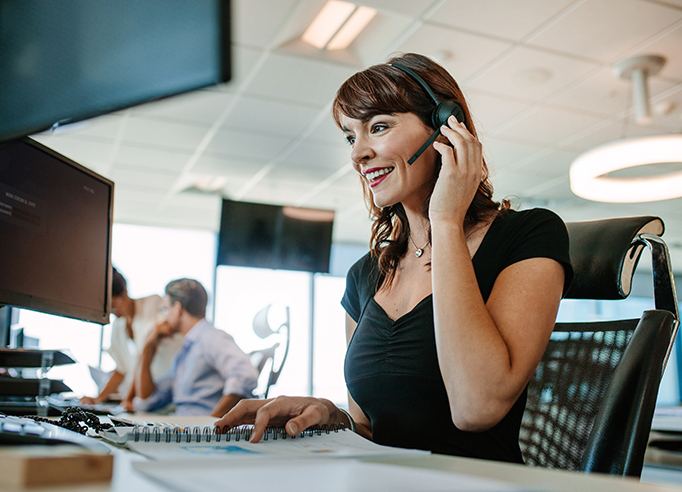 It provides the tools for contact centers to have the right number of agents with the right skills, at the right time, across all channels throughout the day. But, the difference is the agents are involved in the process every step along the way, giving them input into critical scheduling decisions. While traditional workforce management applications are good at accurately forecast- ing customer demand, optimizing the agent’s schedules, and have increased productivity, Community WFM expands these capabilities by engaging employees with a built-in communications network that gives agents a voice in the decision-making process. Through this framework, analysts are able to update forecasts and schedules in seconds to adapt to intraday changes in call volumes and customer demand. With more control over their work schedules, agents enjoy a better work-life balance to deal with unexpected challenges in everyday life. Send ad-hoc information and notifications to a specific group or individual. Send reminders about upcoming schedule events. Solicit agents for opt-in shift adjustments. Notify agents of schedule changes and processed requests. Receive notifications and accept or decline offers for schedule over- and under-time. Notify analysts and supervisors of an unplanned late arrival. Agents and supervisors can engage in traditional intraday activity such as shift-bidding as well as swapping shifts with other co-workers all from the communications network. As an enterprise workforce management provider of omnichannel forecasting and scheduling optimization, Community WFM is the first truly collaborative workforce management system that revolutionizes the way WFM analysts collaborate with agents and supervisors to quickly adjust schedules with precision and agility. Imagine having the ability to refine work schedules and immediately engage employees about the new schedule with just a few clicks. With Community WFM you have the ability to engage employees by offering them the framework to connect with each other, the ability to engage through the channel of their choice, and on-the-go visibility and transparency. This engagement will help your employees make happy customers.